Paris born, London based designer Aurélie Fontan launched her eponymous label in 2018, firmly establishing herself as a sustainable fashion designer, with a focus on bio-design and circular economy (including zero-waste production methods in texture making and cutting). A fashion graduate from the Edinburgh College of Art with an additional background in Art History, Aurélie’s work represents the “techno-craft” concept, where feminine, inspirational and eco-friendly luxury womenswear is produced from the latest technology and unconventional techniques. 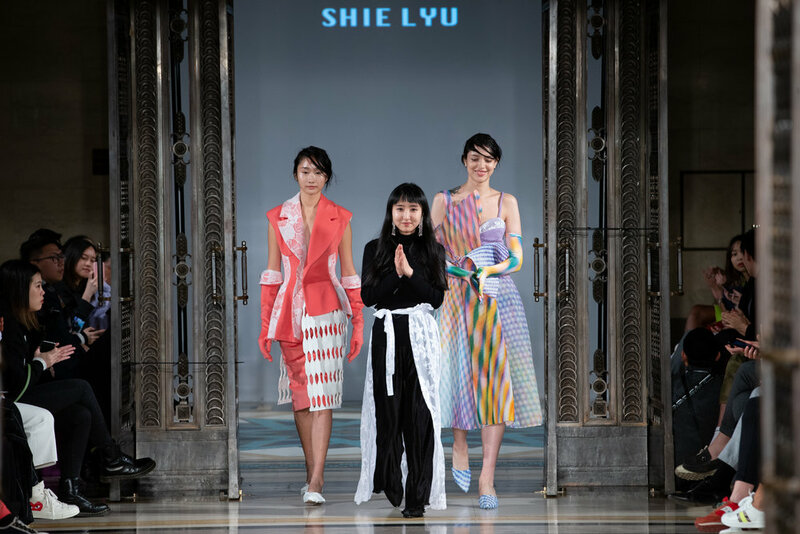 Originating from China and having lived in Sydney, Tokyo, New York and London, Shie Lyu’s eponymous label, personal identity and design aesthetic has been formed and inspired by traveling the world for over 12 years. With a background in finance and accounting, Shie has a passion for meticulous construction and sculptural silhouettes which remind her of composite index curves and cubes in financial charts and mathematical models. The label is known for its intricate use of unusual industrial materials like molded Perspex, rubber, and heat shrink industrial tubing to create its textiles and contrasting colourful embroidery and beading by haute couture techniques. 1x1 Studio is a luxury menswear brand established in 2017, which creates playful 3D textures in knitwear focusing on craftsmanship and creative knitting techniques. The aim of the brand is to bring out a new fashion cycle by working closely with other talent in order to give new horizons of each collection. Founded and lead by Taiwan born, London based Yi-Ling Kuo, a London College of Fashion graduate, 1X1 Studio uses recycled materials, specialist yarns and crafted knitting techniques in hope to raise awareness of undiscovered territories. 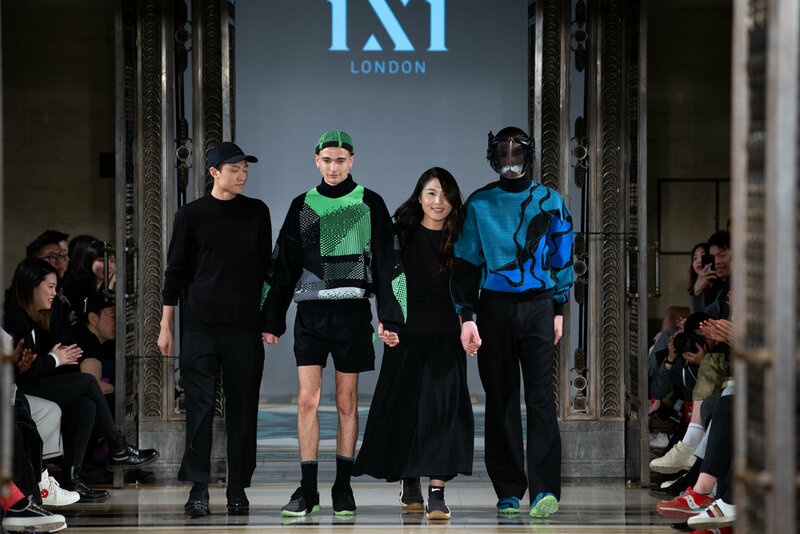 Since graduation, Yi-Ling has worked at Mary Katrantzou and Julien Macdonald, later winning the FDC Young Designer Award and presented her first presentation in New York in May 2017 where her work was featured within GQ, L’Official Paris, Phoenix, Schon! to name a few. New York based designer Bowen Hu’s designs are strongly influenced by her understanding of personalities and psychology. She focuses on unisex collections with an innovative approach to textile, colour and silhouette. Her ideas of design tend to psychologically or physically support the wearer and environment, and its interaction with the garment itself. Alternatively, the garments can be exhibited as an art sculpture individually due to their high level of detail and artistic skill.